Taylor Swift My New Year's Eve Bash ... Filled with Heroes!!! Taylor Swift had a heroes party for New Year's Eve with a bunch of famous buds. 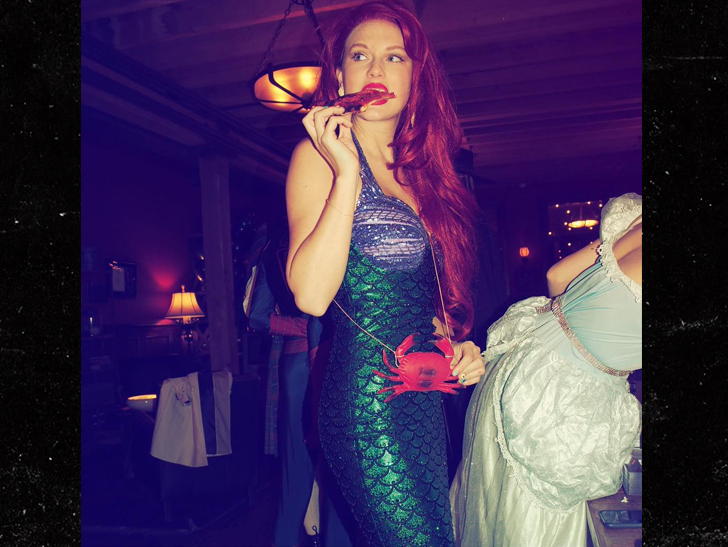 Taylor dressed as Ariel from "The Little Mermaid," Gigi Hadid dressed up as Mary Poppins and Blake Lively dressed as Dorothy from "The Wizard of Oz." 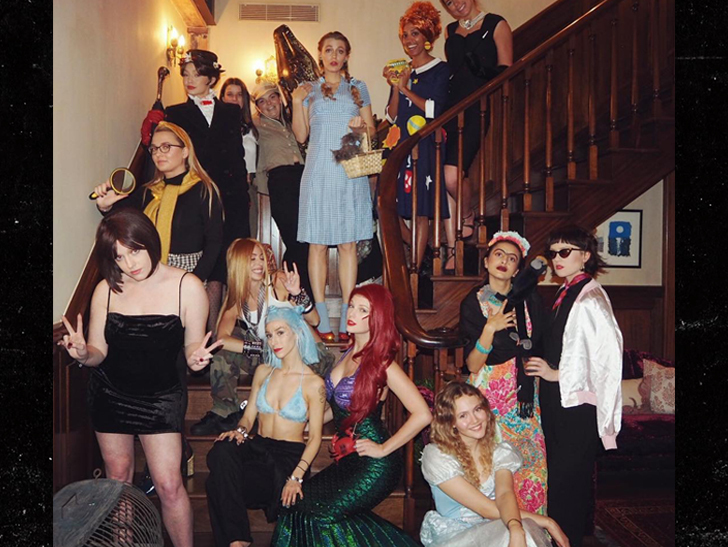 Some of the other costumes ... Audrey Hepburn, Ms. Frizzle, Cinderella, Gwen Stefani, Mr. Toad, Avril Lavigne, Nancy Drew, Posh Spice, Rizzo, Frida Kahlo, Steve Irwin. BTW ... the Gwen Stefani costume -- the blue bikini top -- replicates a '90s red carpet appearance by the singer. The Dorothy outfit even came with Toto in a basket! Taylor commented on the post, "Sending you all love and hope going into 2019." Taylor joined Ryan Reynolds for a little gin guzzle from Ryan's label, Aviation. The party went down somewhere in New York City. It's unclear if it's a restaurant or whether she took over a club.